Musical instruments are renowned for their singular sounds. Have you ever been struck by the irony of showing them in glass display cases? If so, the Metropolitan Museum of Art hears you loud and clear. Its recently renovated music galleries include a new audio collection. It is available via gallery listening kiosks and smartphones. Now visitors can enjoy the sounds of instruments on display. They can do this while walking through the museum’s halls. The recordings feature roughly 40 instruments. That's according to Hyperallergic’s Claire Voon. They include a Ming dynasty pipa and a four-string plucked lute. It also includes the world’s oldest surviving piano. The piano is an Italian masterpiece. It was crafted by the instrument’s inventor, Bartolomeo Cristofori. He made it in 1720. Most of the Met’s 5,000 or so instruments are too fragile or rare to be played. That's according to Bradley Strauchen-Scherer, associate curator of musical instruments. But “a generous handful” are still in working condition. Curators turned to musicians well-versed in their craft. They did this in order to recreate the instruments’ former glory. For instance, horn player R.J. Kelley recorded a song on a 19th-century orchestral horn. It requires users to play without valves. 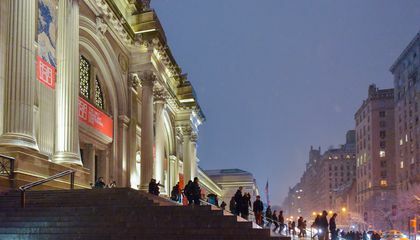 The Met’s reimagined galleries are presented under the all-encompassing title. It is “The Art of Music.” The galleries are organized by musical family and historical period. That's according to ArtDaily.org. There are 600 or so instruments on display. They span two millennia and five continents. This allows visitors to trace the role of music across time and space. They can see how it expresses status and identity. And they can see how it expresses spirituality. Exhibition highlights include the Thomas Appleton pipe organ. It is one of the country’s oldest functioning examples of the instrument. Also included are four electric guitars. Each represents a different season. They were created by master luthier John Monteleone between 2002 and 2006. “The Art of Music” emphasizes the sounds of musical instruments. But it also highlights their significance within wider historical narratives. That's according to Hyperallergic’s Elena Goukassian. It does this by juxtaposing artifacts. For instance, take a 19th-century gong wielded by wooden statues of oni - ferocious creatures from Japanese folklore. Then compare it to an 18th-century French harpsichord-turned-piano decorated with East Asian-esque landscapes. Each instrument is crafted, ironically, to appeal to the other’s culture. This is how the exhibit nudges visitors to draw connections between seemingly disparate histories. If an upcoming trip to the Met isn’t on your agenda, you can access the recordings online. You can get them via Soundcloud or Google Arts & Culture. Be sure to check back soon, as Strauchen-Scherer tells Voon the museum’s department of musical instruments hopes to create new recordings on a yearly basis. If you want to watch the instruments in action, visit the Met’s YouTube channel. 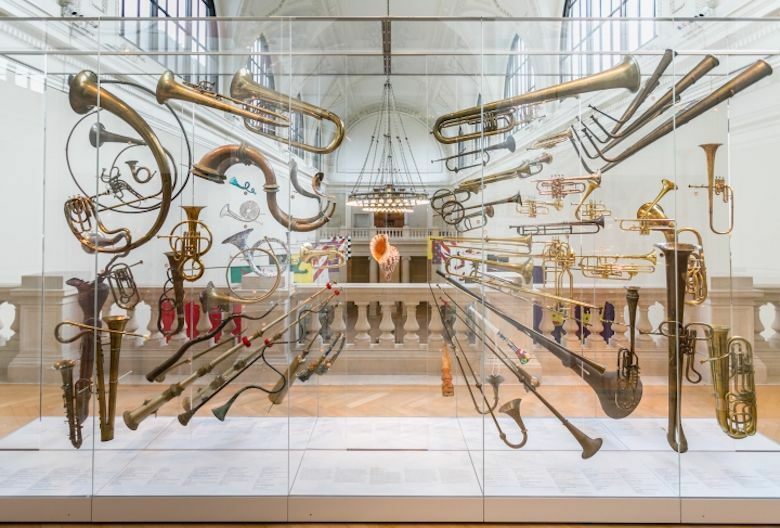 How do you think that allowing access to the sounds of the instruments will enhance a visit to the Met? If people have the access to the sounds, they know what the instruments sound like. If someone doesn't know what kind of instruments they're into, they can go to the museum and listen to the instruments. They can also explore what other kinds of instruments there are. Music is the best invitation letter to enjoy the wonders of art. If you listen to instruments you might get into playing instruments or like to play them some day. You might like more then one or you might like multiple instruments. It will enhance the visits to the met by, getting more people to come and see the instruments. The Met is a place or musemem where old famous instruments are displayed and you could listen to how they sounded when they were played. It's pretty cool knowing that nowadays people still collect rare artifacts.